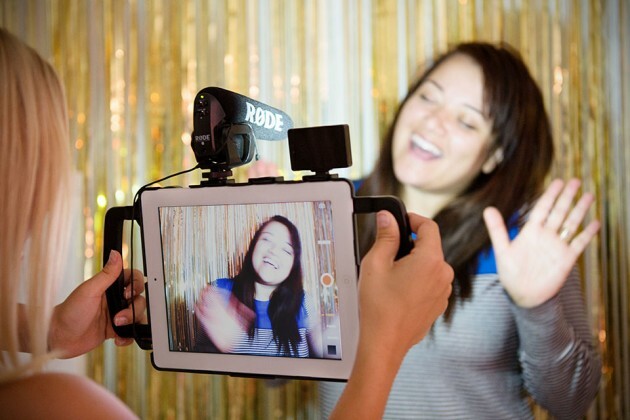 serious videographers probably won’t find themselves considering iPad as the video camera of choice for their videography needs. 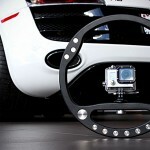 however, if you beg to differ, then the iOgrapher iPad Video Rig might just be right up your weird alley. honestly, we thought the rig looks kind of cool. 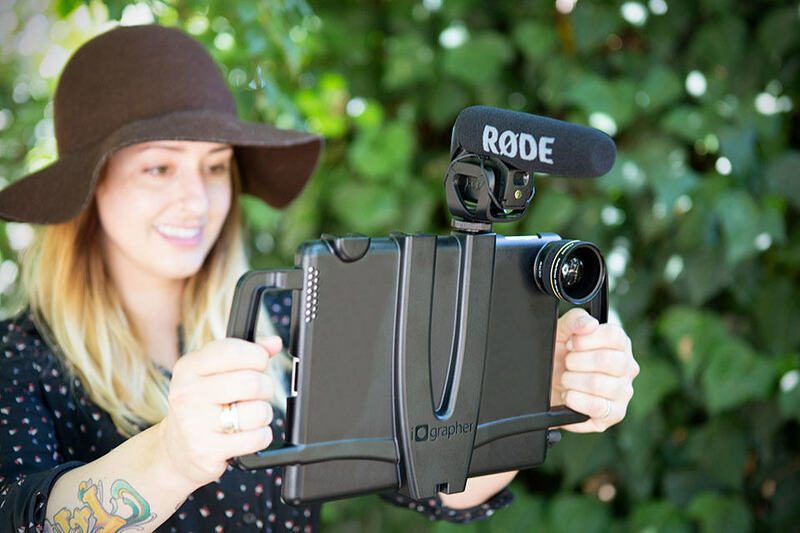 the iOgrapher comprises of a case with integrated handles that lets you hold the iPad on the sides, keeping your hands off the device display and bezel altogether. the case also offers protection to your iPad, while also giving added stability when maneuvering the iPad for the shoot. but that’s not all; iOgrapher is also loaded with mounts to fit accessories like tripods, external microphones and even lights. 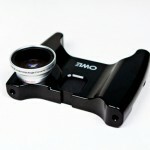 the case also allows you to use any 37mm lens and filter, such as the wide angle lens that comes package with the iOgrapher. 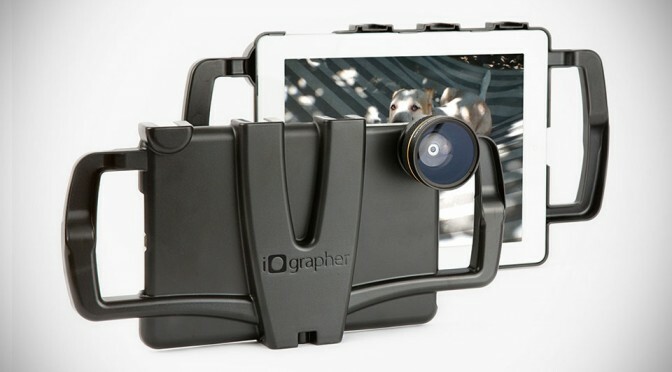 essentially, the iOgrapher will transform your iPad into a super cool, pro-looking video rig. honestly, nobody will suspect that it is indeed an iPad, well, at least not after they view the video quality. not that iPad’s video quality is bad, but you know, it is never considered a pro, pro kind of quality stuff. but i am sure your artistic flair and effective use of modern day cinematography technics will more than make up for that. 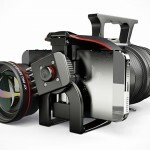 in any case, you will have all the cold shoe mounts necessary for the additional pro gear (such as the RODE mic, for example) needed for a ‘proper’ movie shoot, plus the benefit of using wide or macro lens. 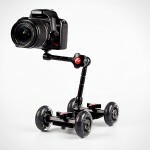 with the tripod mount, you can even mount it on a guide track for super smooth panning shots too. it’s almost like the real deal, almost. 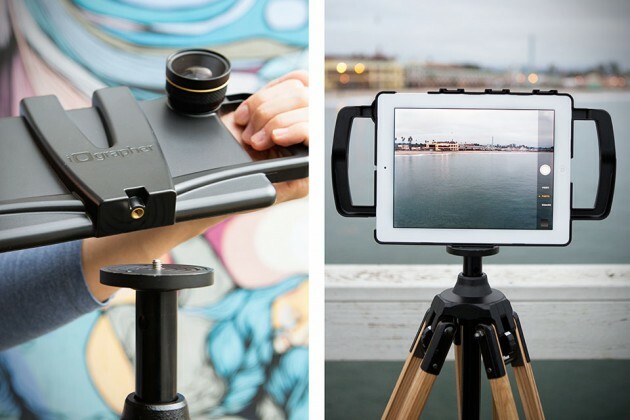 available to suit iPad and iPad mini, the iOgrapher iPad Video Rig goes for $85 a pop. there is also one bundled with RODE microphone going for a serious $350. take a few more look at the iOgrapher after the fold.